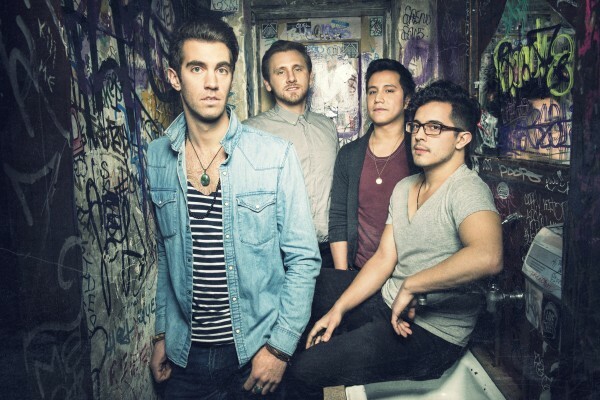 American Authors finally started gaining traction in December 2012; that’s when one of their early demo’s of their song “Believer” landed in the hands of the powers-that-be at Sirus Radio’s Alt Nation station. Sirius eagerly wanted to play the track, but there was only one problem: the song wasn’t done. “When we wrote that, we wanted to do something completely fun and upbeat. James had just found a banjo under his girlfriend’s bed like two days before that, so he actually learned banjo for that song,” says Barnett. From then on everything came together quickly, and Sirius started spinning “Believer,” which soon became one of the most popular songs on the station — a feat made all the more impressive since the band was unsigned at the time. That all changed when Mercury Records (a division of Universal Music), came calling, and signed them that January.